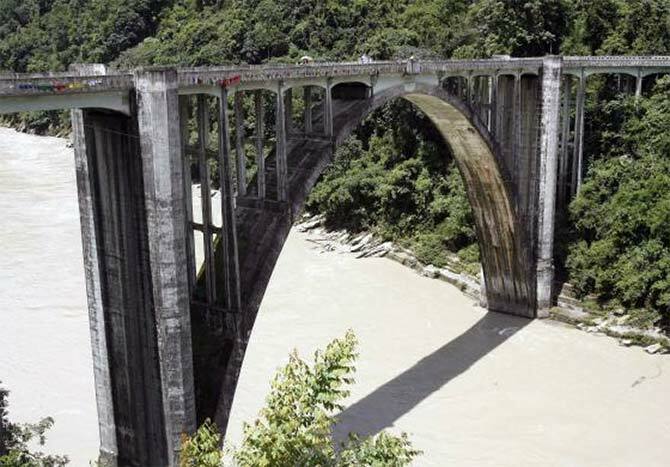 India has an impressive network of road and railway bridges. 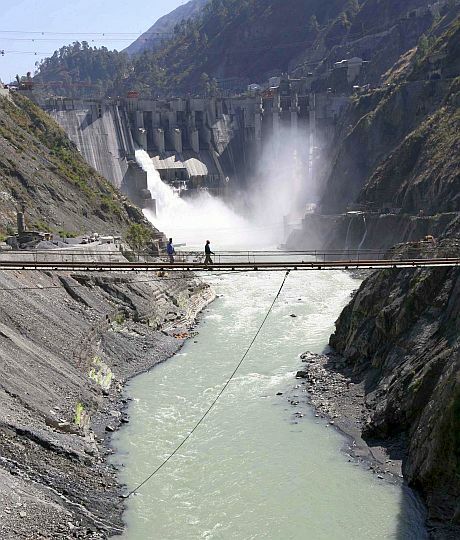 By 2016, India can boast of the highest railway bridge in the world, over river Chenab, 359 meters above the river bed. People look down from Coronation bridge on the Teesta river. 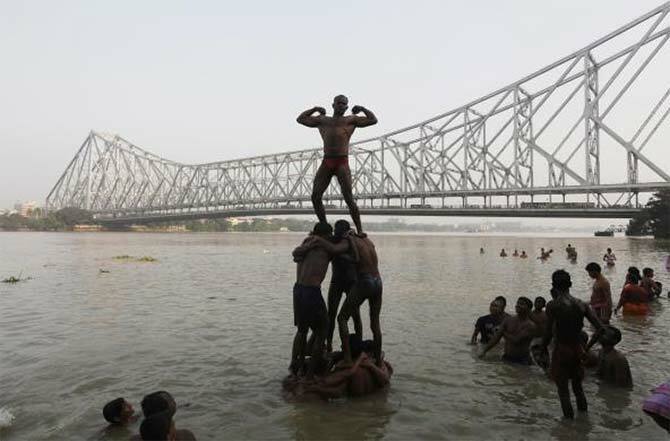 A man poses while enjoying a light hearted moment with his friends forming a human pyramid in the waters of the Ganges river in Kolkata. 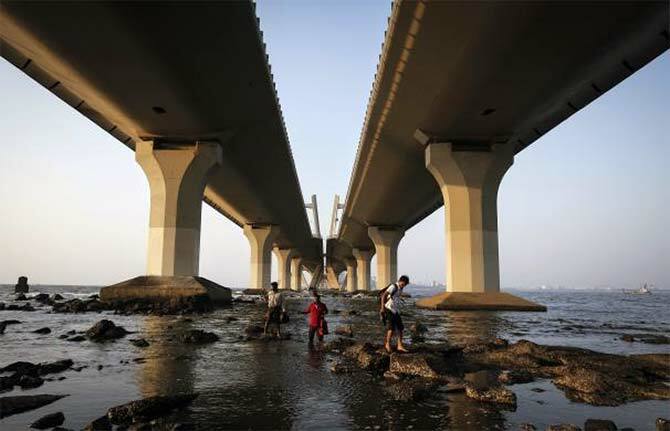 Men walk across the rising tide from a pylon under Bandra-Worli sea link bridge, also called the Rajiv Gandhi Sethu, in Mumbai. 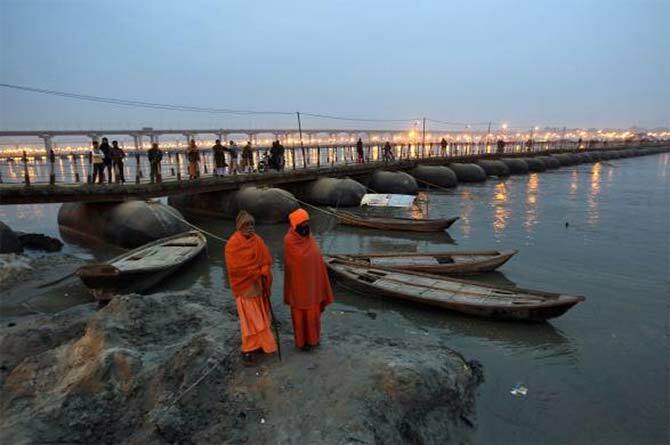 Sadhus or Hindu holy men stand on the banks of river Ganges next to a pontoon bridge in Allahabad. 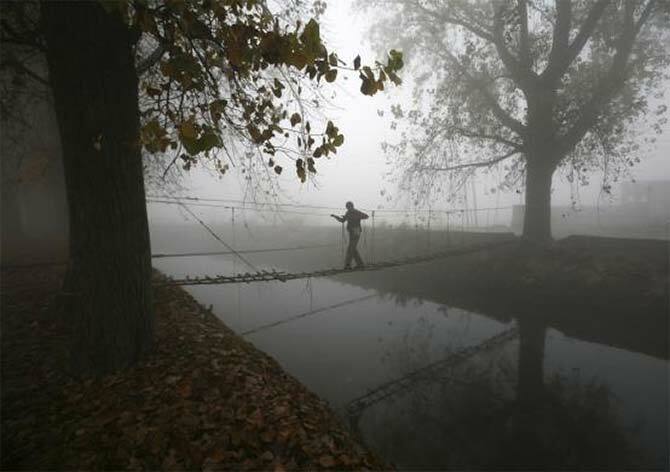 A boy crosses a canal on a rope bridge during a foggy winter morning on the outskirts of Jammu. 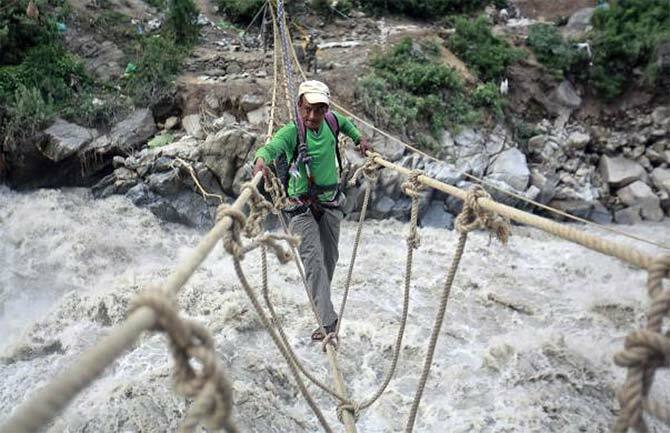 A man crosses a rope bridge over the Alaknanda river during rescue operations in Govindghat in the Himalayan state of Uttarakhand. 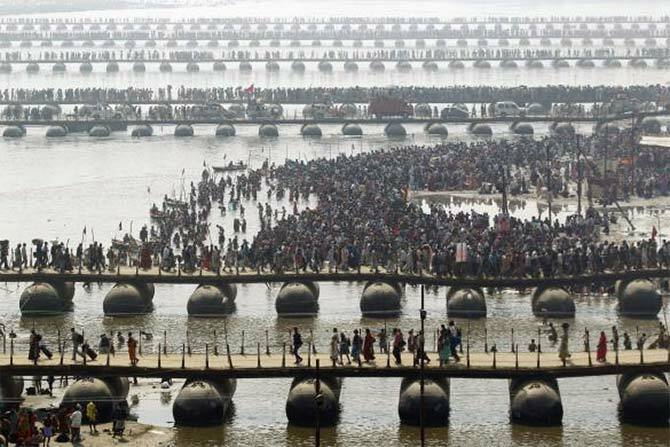 Hindu devotees cross the river Ganges on pontoon bridges after bathing in the waters at Sangam - the confluence of the Ganges, Yamuna and mythical Saraswati rivers. 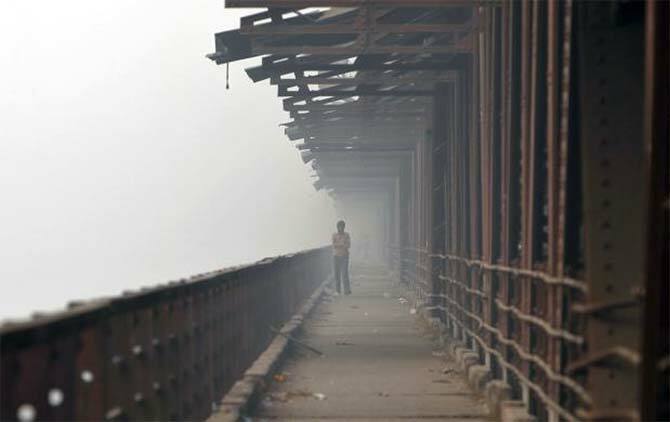 A man walks over a bridge built over the Yamuna river amid dense smog in Delhi. 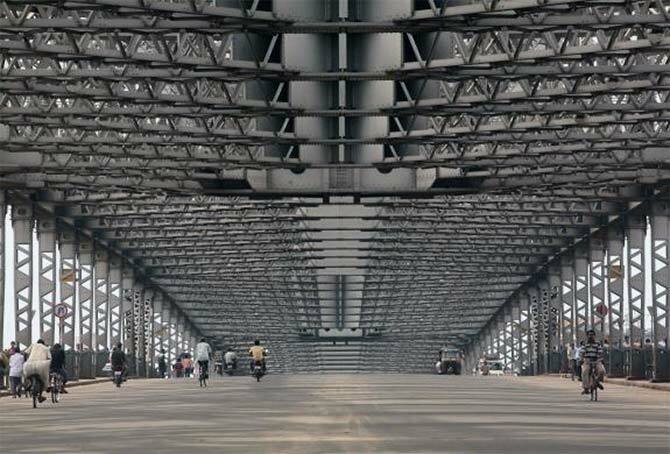 Light traffic moves on the Howrah bridge during a one-day strike in Kolkata. 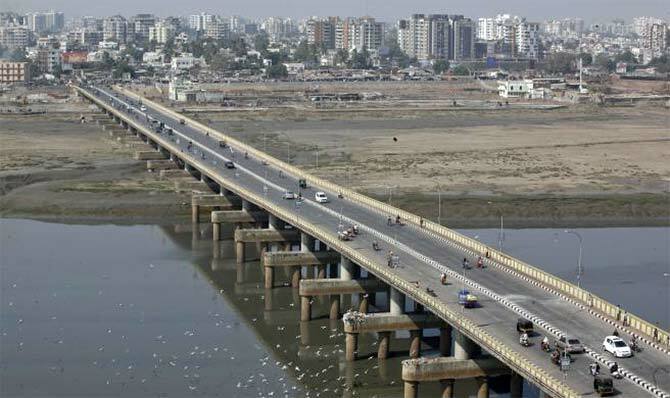 Vehicles move over a bridge built over the river Tapi at Surat, in Gujarat. 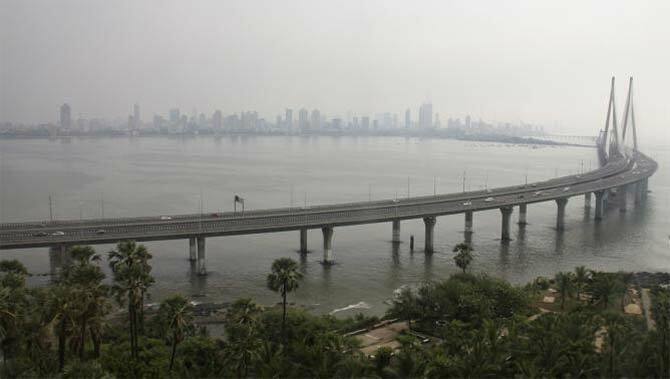 A general view shows the Bandra-Worli sea link bridge, also called the Rajiv Gandhi Sethu, in Mumbai. 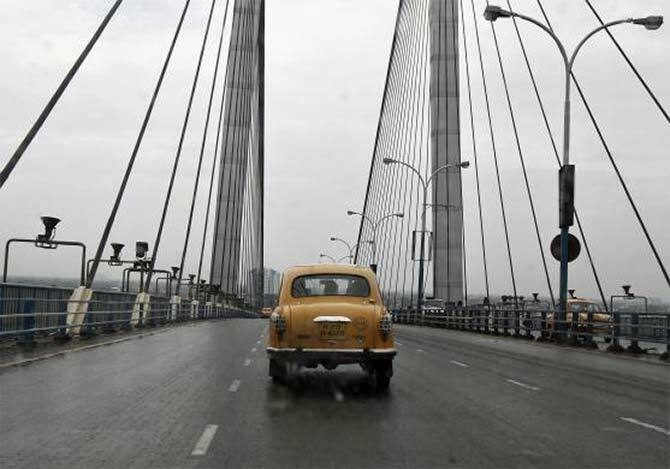 A yellow ambassador taxi crosses the Vidyasagar Setu bridge in Kolkata. 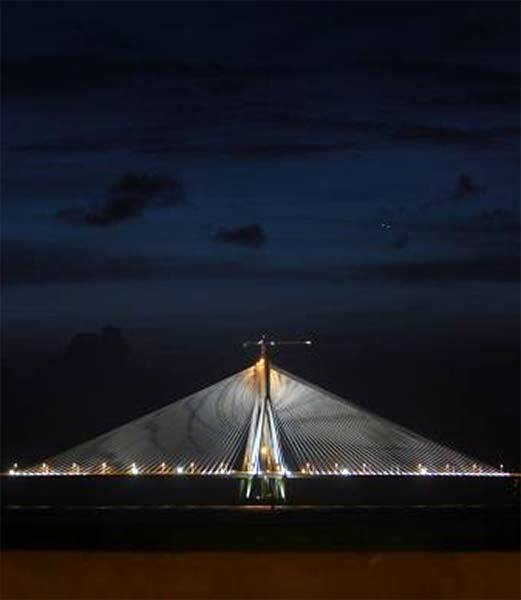 A woman looks at the newly built Bandra-Worli sea link in Mumbai. 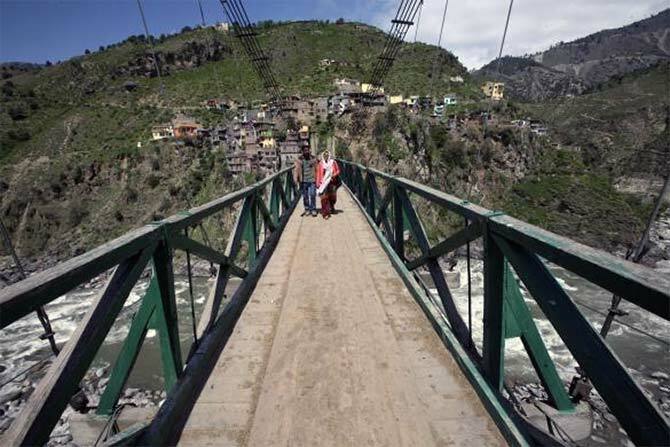 Voters cross a wooden bridge on the Chenab river to reach a polling station to cast their vote in Prem Nagar in Doda district, north of Jammu. 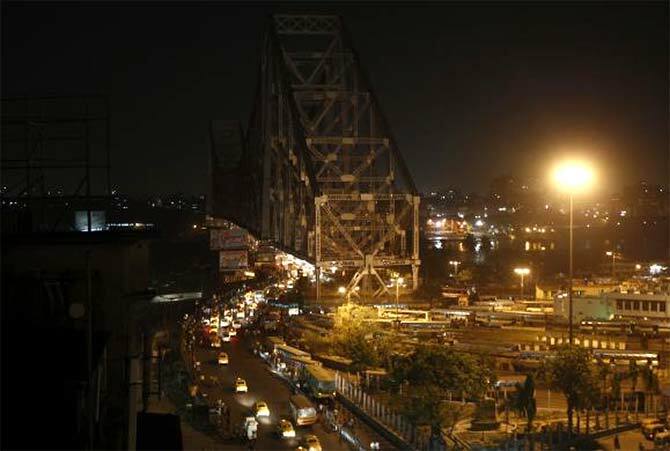 Heavy traffic moves in front of the Howrah Bridge during Earth Hour in Kolkata. 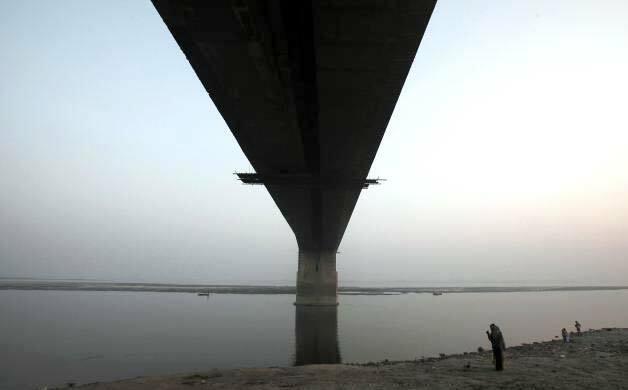 A man stands under a bridge built over river Yamuna in New Delhi. 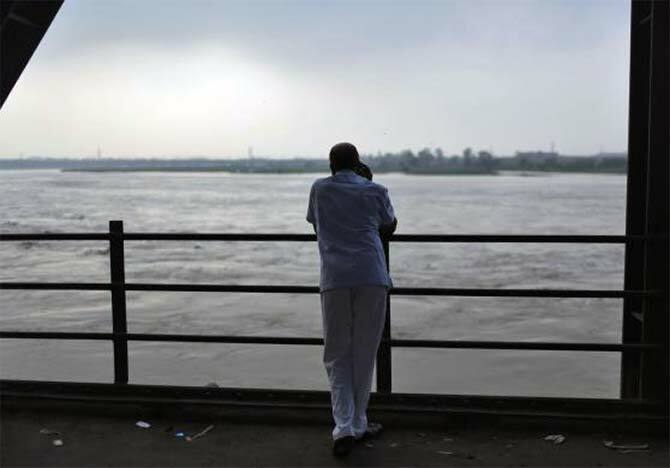 A man stands under the Mahatma Gandhi Setu bridge built over river Ganges in Patna, in Bihar. 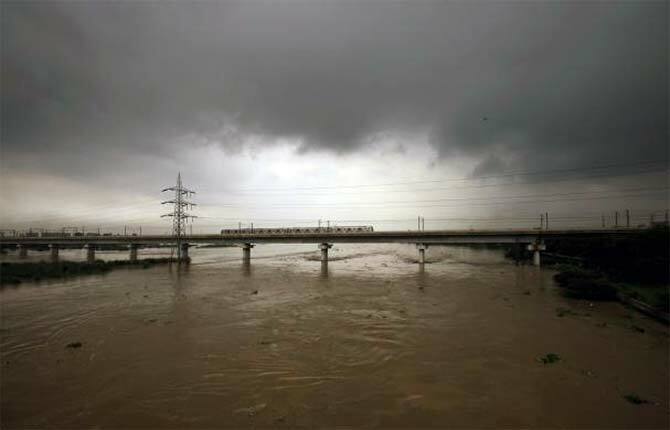 A Delhi Metro Rail Corporation (DMRC) train moves over a bridge built over the river Yamuna that is over-flowing in New Delhi.